Classic game of sudoku combine with fractions make it fun to learn about math. Learn aboutequivalent fractions the fun way with this great hands-on game. 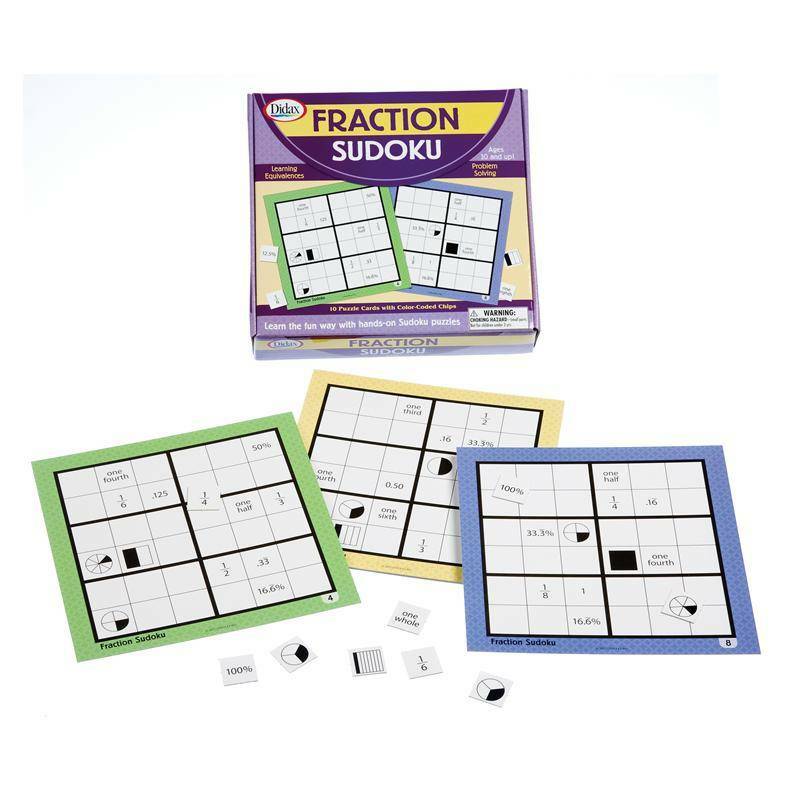 Everything youneed to complete 10 challenging Sudoku puzzles with special fraction chips.Simply use the chips to cover the board so that each row, each column and each3 x 2 box contains one each of the six (one whole, one half, one third, onefourth, one sixth, one eighth) fractions. Includes 360 punch-out chips, 10color-coded game boards and an answer key. Boards increase in difficulty.